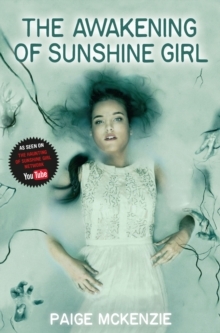 The Awakening of Sunshine Girl is the second in a frighteningly good series based on the popular YouTube sensation The Haunting of Sunshine Girl Network, created by Paige McKenzie. Sunshine's Luiseach powers have been fully awakened. For months now, Sunshine has felt spirits everywhere. She hears their voices; feels their emotions . . . it's intense and sometimes overwhelming. She tries to ignore them, but it's impossible. Hoping to get her powers under control (and hoping for answers to her never-ending questions) she agrees to start training with her Luiseach mentor, leaving her family - and her friend Nolan - behind. 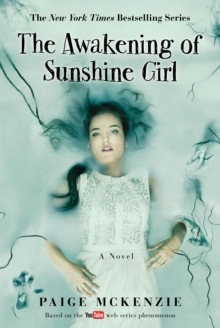 But Sunshine's mentor doesn't understand her attachment to the humans in her life; and she can't forgive his abandonment of her so many years ago. 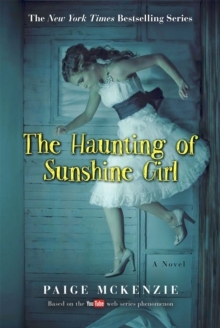 The only thing getting Sunshine through the terrifying and creepy training is her new, distractingly attractive, friend -- another young Luiseach. Though Sunshine's mentor is reluctant to answer her many questions, she finally learns the truth about her lineage, as well as the rift that threatens the future of Luiseach and the human race . . . and the crucial part she has to play in repairing it.